There are some works of art that I have always loved from the art books around my house or at the library. But there is a list of my favorites that I have been able to experience in person, that are truly too amazing for a book. Here are two paintings that I have seen in real life. These two were already some of my favorite pieces of art and seeing them up-close and in person was an awesome event. 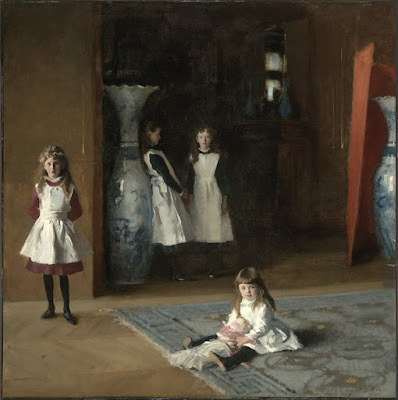 The Daughters of Edward D. Boit, John Singer Sargent. 1879. This monstrous oil painting is 87.6″x87.6″!!! I saw this painting at the MFA in Boston. After Sargent exhibited a portrait of his mentor Carolus-Duran in the Parisian Salon in 1879 he was commissioned to paint several more portraits. The Daughters of Edward D. Boit was one of these first commissions. I love this painting! 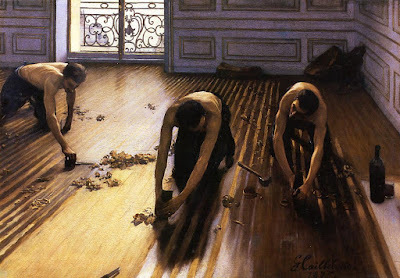 I’m drawn in by the contrast between the natural lighting from the doorway that reflects off the the wood floor and the workers’ skin in an otherwise dark room. I was able to view this painting at the Musee d’Orsay in Paris. I loved it. But… this painting was not well received by the public in 1875. Art critics were still looking for paintings of the human form to mimic those of Greek and Roman art. The skinny bodies of these blue collar workers would have been considered off-putting. ©2016 Charles Pate Jr., all rights reserved.